Replacing your roof is something that homeowners in the GTA will have to do eventually. Whether you suspect you require a roof replacement because it’s been 15 or more years since the roof was last replaced, you’ve recently lost some shingles because of high winds or a storm, or you suspect you may have a leak, it’s always good to get a professional opinion to compare your roof replacement options. Before you agree to a roof replacement, it’s important to know if you actually need one and how much it will cost. Our team will happily come out to your home, inspect your roof, let you know if a replacement is required and provide you with a series of roof replacement options to consider. Every roof replacement project is unique. During this step you will not only establish a date for the project, you will also choose the type of shingles you that will be used, choose roofing materials, determine if vents, flashing, and flanges require replacement, and discuss financing options. Expect delivery of your roofing materials a few days prior to your project date. Usually, no action is required by the homeowner. The first step on day one of the project to is protect your property to ensure no damage is caused to surrounding plants, walls, siding, and other areas. Each day we will do a full sweep to clean up materials. All old shingles and roofing materials will be removed, exposing the wood decking. This allows us to start from scratch. Once the old shingles are removed a more thorough inspection of your roof decking will be performed. Any soft, wet or rotted areas will need to be replaced. Any other issues that arise will be addressed before the new roof is installed. Once the roof decking is inspected and in good shape, roofing materials will be applied to the decking such as drip edges, ice and water shield roof underlays, and roofing felt to protect your roof. The final step in material installation process is to lay the new roofing shingles. We work from the bottom up and then address ridge vents, flashing and other areas that need additional attention. Once the installation process is complete, a complete site clean-up is performed. Expect your property to look exactly as it did when we arrived. The disposal bin will be taken away. 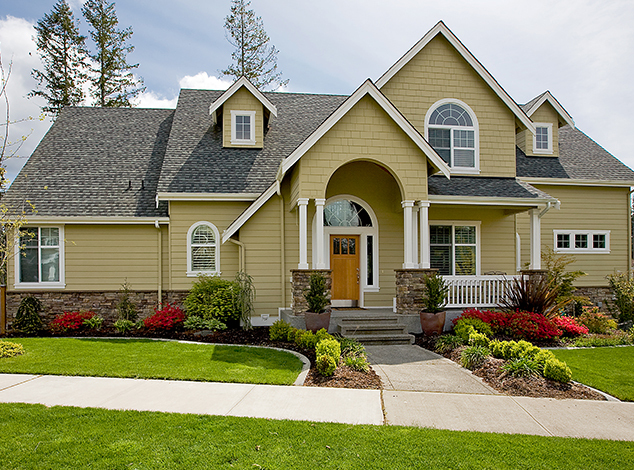 Each roof replacement project is completed with a thorough final inspection of your roof. When you are satisfied with the work, sign off on the project. These are the main steps included in the roof replacement process. If you have questions about our roof replacement process, please contact us. Call us anytime to set up a free estimate.